FarmersOnly.com - The Works of Joe Campolo Jr.
As our society has become polarized these past several years it’s not surprising that match making services have also stratified, putting together peoples of a like mind set. Many of these match making services advertise on national television and the internet, having their own websites and Facebook pages. There are match making services dedicated to political affiliations, occupations and hobbies. Some of them are fairly predictable and mundane, such as www.republican-dating.com, while others such as www.tattoodating.com trend toward the more exotic. One matchmaking service that has advertised quite a bit on national television recently is www.farmersOnly.com. Though not in the market, this website intrigues me as becoming a farmer had long been one of my fantasies. I’m actually a bit put out, as their website specifies that their services are strictly restricted to farmers, shutting all “city slickers” and the rest out. How can they blatantly discriminate against the vast majority of society, many of whom have never had the pleasure of being down-wind from an aromatic hog operation? And how do they screen prospective clients? 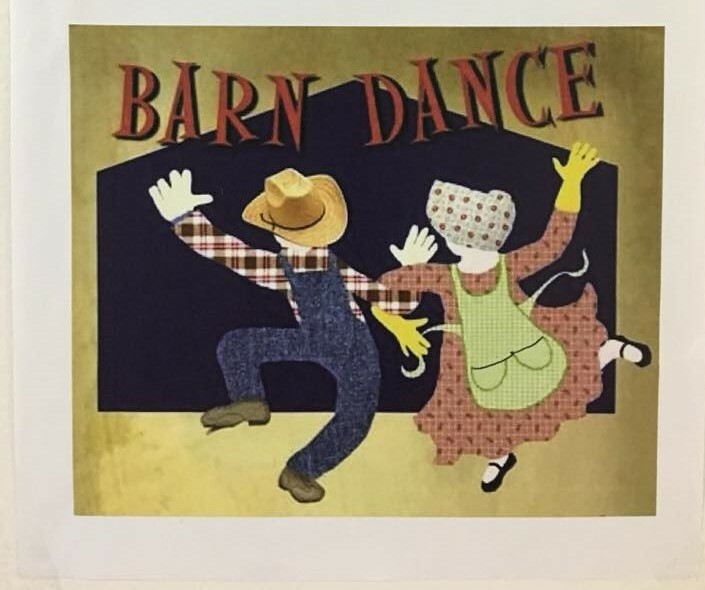 If I was to say… put on my old biballs, stick a blade of grass between my teeth and saunter down to the barn dance…..who would be the wiser? Is there a farm detective with a screening process allowing him to detect the difference between real cow manure, Vs splashed oatmeal? And what exactly is the punishment for posing as a farmer? Do you get strung out in a corn field like the scarecrow from The Wizard of Oz? Or just banned for life from farm and field? I find the whole thing rather perplexing. When I was just a sprout, Lassie was one of my favorite television shows. I never tired of watching Timmy and his faithful companion Lassie, week after week. And having a vivid imagination, I often fancied myself in Timmy’s role. 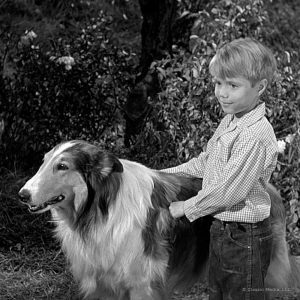 Lassie and I would be endlessly pulling “Gramps” out of burning barns, helping mother harvest the crops, and all the while subduing the occasional escaped circus lion. 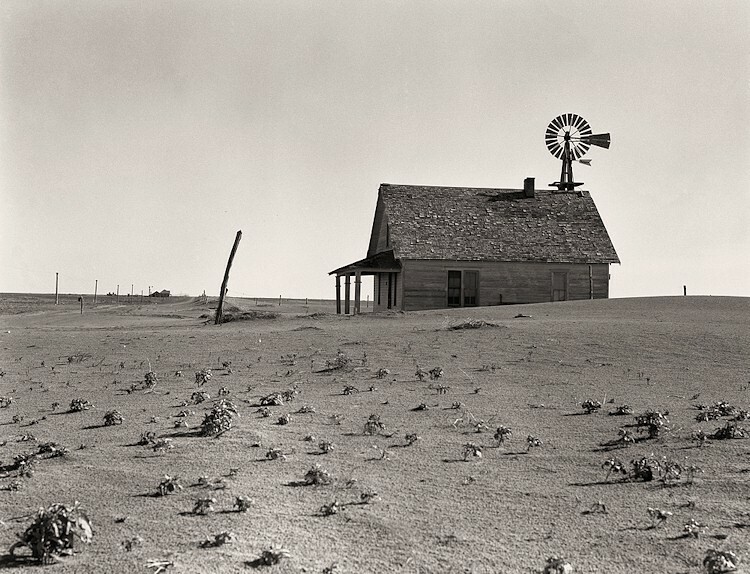 My farming fantasy was greatly encouraged by my 2nd grade teacher, who lived on a nearby farm with her family. A very nice lady, she hosted our whole class to a day on the farm when the school year was over. She even had a Rough collie dog, just like Lassie! We romped through the corn, played in the barn loft, milked a cow and enjoyed a nice farm lunch. To legitimize the outing, a couple of the kids even got poison ivy. Definitely one of my favorite summers back in the day. However long before I graced Ma and Pa Kettle with my presence on their spread in Illinois, I honed my farming skills performing manual labor for several weeks on a farm right here in good old Kenosha, Wisconsin. That opportunity came about through a job I had with a local landscaping company. For a couple of years, while in my late teens, I performed seasonal labor for the outdoor business. It was a mom and pop outfit that operated in the red, year after year. Although I had hoped to learn the landscaping trade and pursue a career in horticulture, the cash strapped company did little more than lay sod, job after job. My boss fancied himself a shrewd businessman and consistently underbid each job. This meant he got a lot of work, but made poor margins and in many cases failed to break even. Full blown landscaping operations required capital investment, so we did little more than lay sod. In addition to the owner and myself, the staff consisted of the owner’s wife, who was the bookkeeper, along with her son from a previous marriage. Most of the outfit’s equipment was ancient and held together with baling wire…. literally. 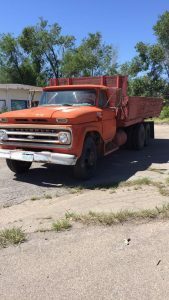 His mechanized inventory consisted of a twenty-year old stake truck, an equally aged dump truck, a tractor that preceded World War Two and two well-worn rotor tillers. Seldom did we complete any job that didn’t see two or more pieces of equipment break down. This of course meant my boss, who also repaired all of the equipment, spent as much or more time on repairs than he did on the job. When my boss wasn’t on the job or performing repairs, he was usually on a nearby pay phone negotiating with one of his many creditors. I was scheduled to be paid every two weeks, but from early on my boss fell behind on my paychecks. This of course was a double-edged sword for me, I was always cash strapped, and because my employer was so far behind on my paychecks, I felt I had to keep working for him to insure I would eventually get paid up. In addition to being a poor businessman, my boss had the disposition of a honey badger. He constantly squabbled with his customers, in addition to his creditors and employees. (Me) And although his wife’s son was blond, my boss treated him worse than the proverbial red headed step-child. He was a hard man to warm up to, and although working for him caused me a lot of grief, it also provided a lot of humor as his poor personality and business acumen repeatedly landed him in predicaments of one kind or another. 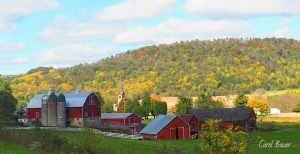 On one job I recall, a hydraulic line on the old tractor snapped, spraying the cedar siding of the home with hydraulic fluid. My boss, ever the clever bunny, kept spraying the house down with water in hopes that the homeowner wouldn’t notice until the job was completed and paid for. The homeowner didn’t fall for it and my boss eventually had to shell out beaucoup bucks for the necessary repairs. The disaster that for all intents and purposes put the struggling company out of its misery, occurred during a heavy mid-summer rain one year. 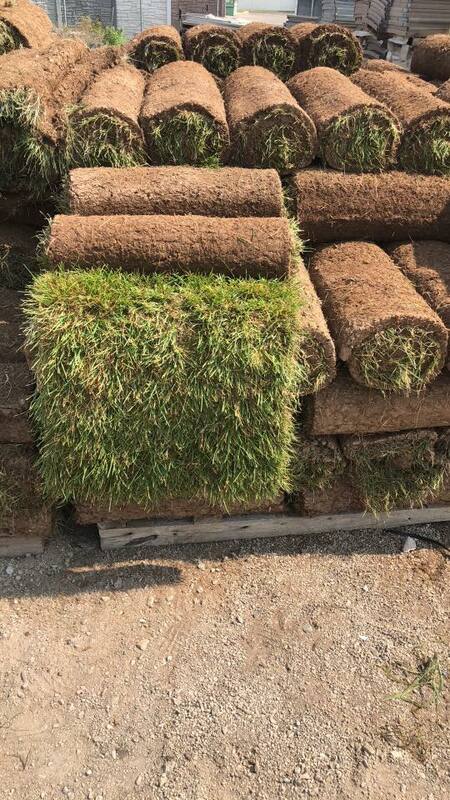 We had loaded the dump truck with a full load of sod at the sod farm in Racine, Wisconsin. We had two sodding jobs that day both about thirty miles to the south, just over the Illinois state line. As we drove down to the work sites, the storm picked up steam and the rain got stronger and stronger, completely soaking the load of sod in the dump. 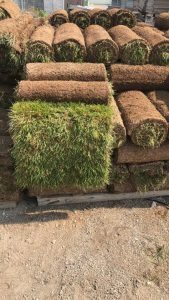 Rolls of sod consist of mostly dirt and have the properties of a sponge. After about a half hour the sod in the truck soaked up so much water the rear axle snapped from the extra weight. Barely able to control the vehicle, my boss managed to wrestle it into a ditch, where it sat like a hulk, disabled and helpless. My boss then hooked up a tow line from the stake truck to the dump truck, but it wasn’t able to pull the mired vehicle out of the ditch so we had to abandon it where it stood. The ride back was most unpleasant, as the disaster put my boss in an even fouler mood than normal. His step son, as always, the target of most of the abuse, finally had enough and screamed back at his nasty step father, prompting him to pull the vehicle over. The step son then jumped out and climbed into the back of the stake truck, where he rode the rest of the way back in the driving rain. This left me and his ill-tempered step dad, who cursed all the way back. My boss, although foul tempered and incompetent, was nothing if not persistent. After a few weeks with no income and creditors on his heels, he had to come up with something quick. 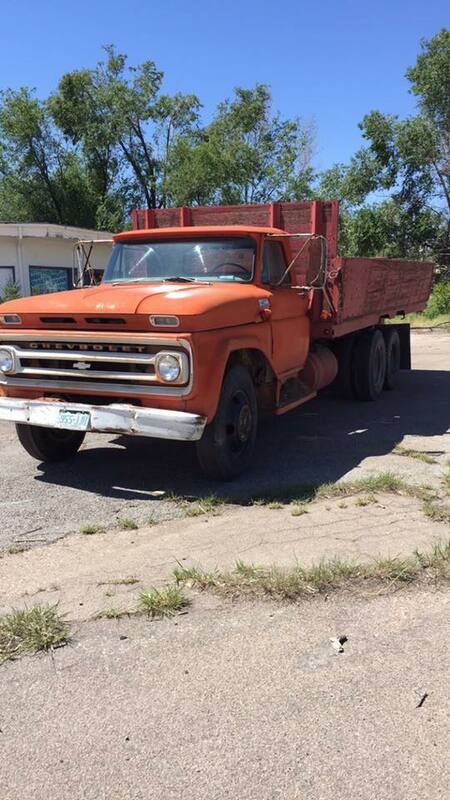 Unable to purchase even a used axle for the dump truck, it sat for a week on the side of the road before the county had it towed to a salvage yard. The bill for that was forwarded to my boss as well, adding to his already considerable financial distress. With my paychecks always late, I was accustomed to precarious straits regarding money. But now I was forced to seek new employment, hopefully something on steadier ground than the failed landscaping enterprise which I had been involved with. About a week after the dump truck debacle I got a call from my boss. He had found work on a nearby farm for himself, his step-son, who he had evidently made amends with, and myself. 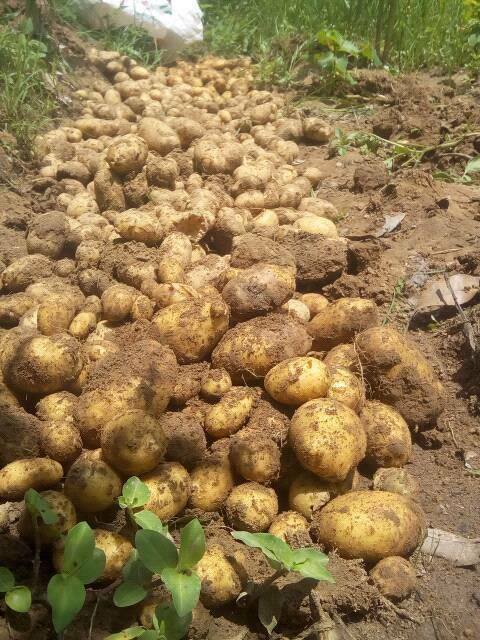 The job involved removing several truckloads of potatoes from the middle of a large barn where they had been had dumped. He estimated the job was good for two to three weeks. Before I agreed to go in on it, I made him promise to pay me what he owed me. I also insisted that I be paid daily in cash for the job on the farm. He reluctantly agreed to my terms, and one day later I collected all the back pay he owed me. We were to start work at the farm the following week. Monday morning bright and early we all met out on the farm. Upon entering the barn, the odor from the potatoes, which were now mostly rotten fairly knocked us over. The plan was simple, we would shovel the rotten potatoes up onto the stake truck, which would then be emptied at a far end of the farm, where they would decompose in the field, providing fertilizer as they wasted away. Being the middle of summer with the heat at its peak, did not improve the odor or working conditions in the barn. 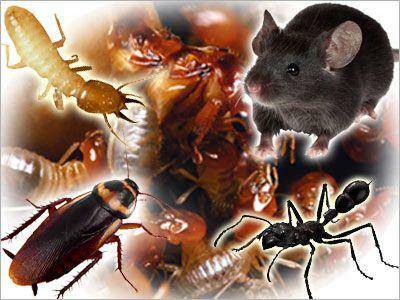 As we shoveled away, every other scoop or so would expose a nest of vermin composed of insects of all makes and models, as well as mice and some very large rats, the likes of which I would not see again until my tour of duty in Vietnam. 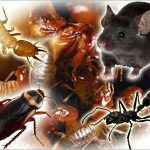 The vermin broke the monotony of the job however, as we quickly smacked every mouse and rat we saw with our large flat nosed shovels. We kept score and rated the escape attempts of the more allusive rodents which went through all kinds of gyrations in an effort to make their get-away. By the end of the day we were exhausted and reeking. I was still living at home with the folks during that time and my mother insisted I change clothes out in the garage and hose down before entering the house. The job lasted about two weeks and I probably threw out several sets of clothing before we were finished. Getting paid at the end of each day had its benefits though, and after cleaning up I would head to a local watering hole which overlooked the fact that some of us youthful patrons were possibly not of age. Flush with cash, I’d often spend the whole evening there having a grand old time. As for my fantasy of farming, when I grew older and became acquainted with falling commodity price cycles, energy cost spikes, weather catastrophes and such, my desire for a career in agriculture became tempered with reality. And having said that, I do not begrudge those stalwart boys and girls that have locked us out at FarmersOnly.com. With all that they will encounter in their chosen professions, they have the right to select their own companions down the long dusty path. And see you in the milking parlor!